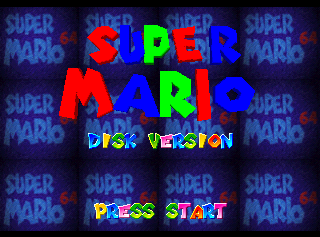 The 64DD version of Super Mario 64 would've taken the Nintendo 64 version and made the purchase of the expensive disk drive really worth it. It was displayed on a 64DD demo unit at the Nintendo Shoshinkai 1996 show. 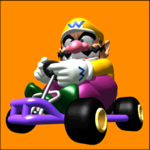 In Nintendo 64 games, the audiotable is the file that contains all of the raw binary sound effects and instruments a game uses. The 64DD version of Super Mario 64 is unique because it contains two copies of the audiotable, possibly indicating the developers might not have been concerned about optimizing 64DD disk space. These audiotables also contain duplicate sound effects for particular sounds, which varies from the US/JP release counterparts that store each sound effect only once. The sound effect of Mario saying "Bye-Bye!" that was introduced in the July 1997 Japanese Shindou edition also exists in this version. Upload audio for "Bye-Bye!" sound effect. 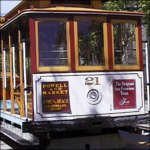 A cable car in San Francisco. 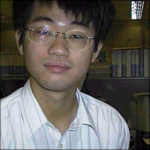 Found around 0x1BBF50, three pictures of an unknown Nintendo employee, probably one of the programmers. 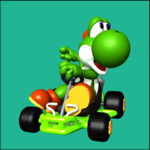 A couple of renders from Mario Kart 64. The Nintendo 64 version of Super Mario 64 contains 35 audio sequences used for music. There are 36 sequences in the 64DD version, with the extra sequence containing an alternate introduction with a slightly-modified jingle. This jingle is used in the PAL release. The audio sequence for the Peach's Castle music contains notes that are less staccato than the Nintendo 64 release. 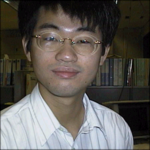 The 64DD version has the Japanese text saved to the disk twice, which varies from the retail release that contains the Japanese script just once. Found at 0x120320 and repeated at 0xB08560 are several error messages. Many of these seem to have come from Mario Kart 64, while others are related to the 64DD add-on. Warning: Running Sequence's data disappear! Audio:Memory:Heap OverFlow : Not Allocate %d! WARNING: NO FREE AUTOSEQ AREA. WARNING: Before Area Overlaid After. WARNING: After Area Overlaid Before. Error: No Wave Load Memory. BANK %d LOAD MISS (NO MEMORY)! Audio:Track :Call Macro Level Over Error! Audio:Track :Loops Macro Level Over Error! Audio:Track: CTBLCALL Macro Level Over Error! 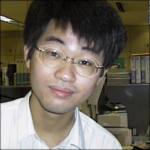 Found at 0x1255C0 and 0xB0D800 are several strings related to N64 libraries. Several of these strings exist in the original release of Super Mario 64, but many are unique to the 64DD version. This page was last modified on 3 April 2019, at 13:49.